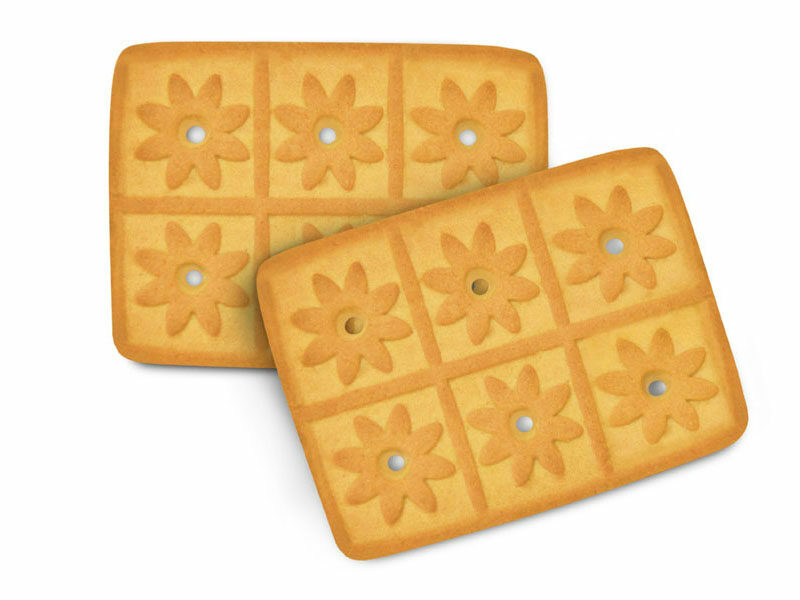 Vanilla flavored biscuits of right-angled shape. Ingredients: wheat flour, vegetable fat (palm oil), sugar, corn starch, glucose syrup, common salt, aerating agents: baking soda, ammonium carbonate; egg powder, emulsifier – soy lecithin; aromatizers are identical to natural.Storage temperature is (8-24)°С, relative air humidity should not exceed 75%. Storage life is 6 months.